Quick Bread Recipes are breads made without yeast, typical sweet breads but can also be savory. 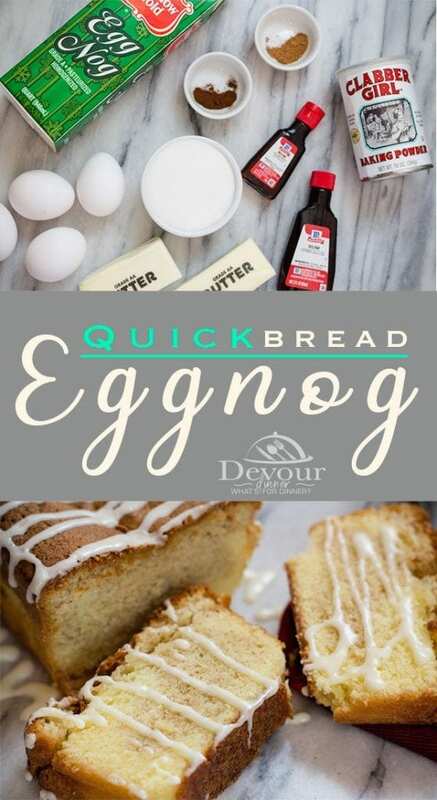 Eggnog Quick Bread is sweet delicious and a favorite Holiday Bread Recipe for the Holidays. Drizzled in Eggnog glaze it’s a real treat. 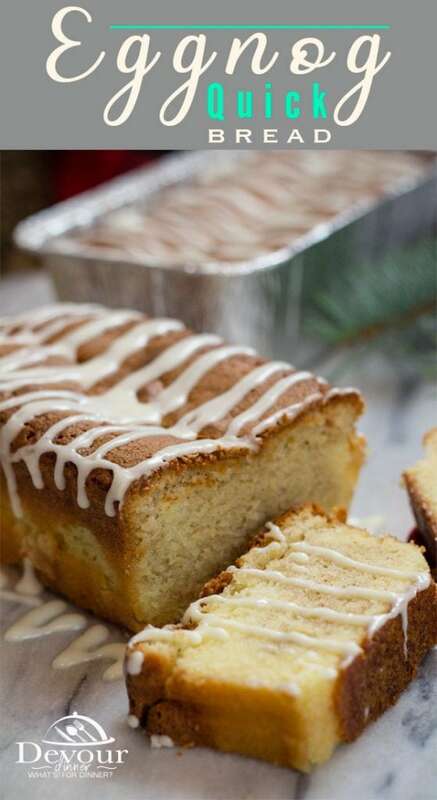 This Sweet Quick Bread Recipe is perfect to deliver to neighbors for the Holidays or enjoy yourself. I love this quick bread on the 2nd day. I feel the flavors have a chance to really combine together. It’s a smooth velvety texture that I just love. 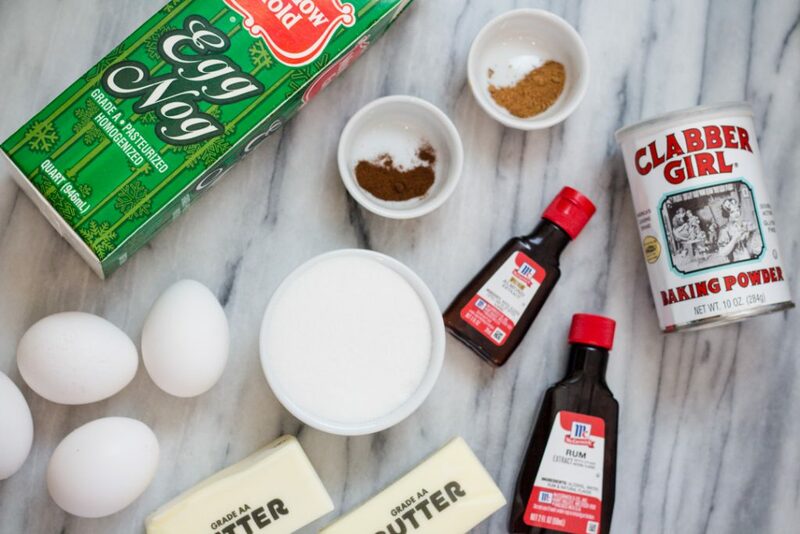 PS – Eggnog Quick Bread is even better if kept in the refrigerator. I’m not kidding! OOh yum! What is Quick Bread Recipes? 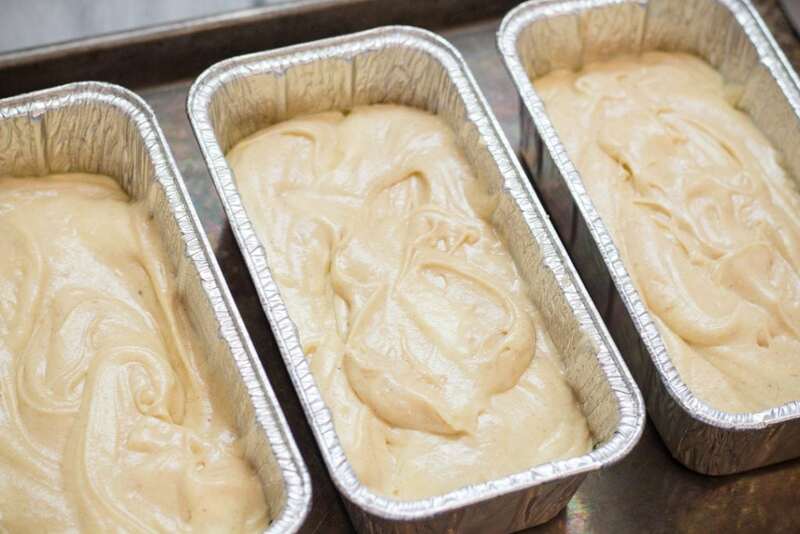 A Quick Bread is a bread made without yeast. 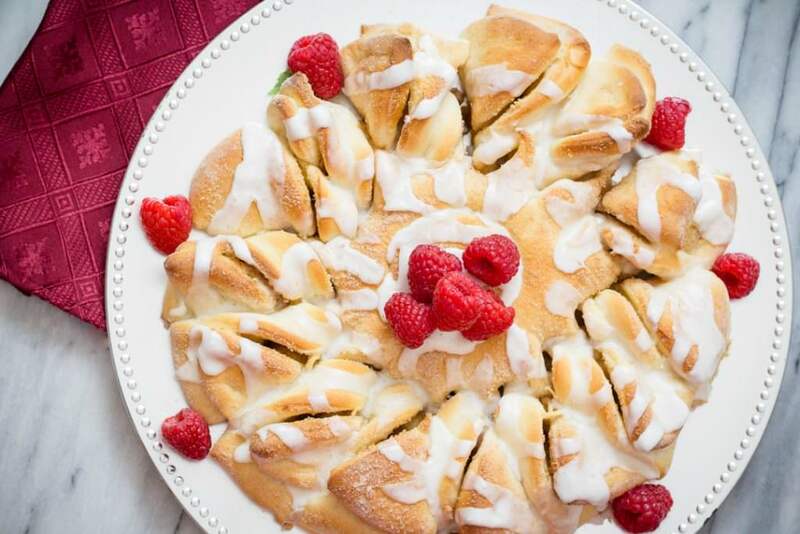 Typically a sweet bread but can also be savory too. It takes less time to make because you do not have to go through proofing the dough and waiting for the dough to rise. 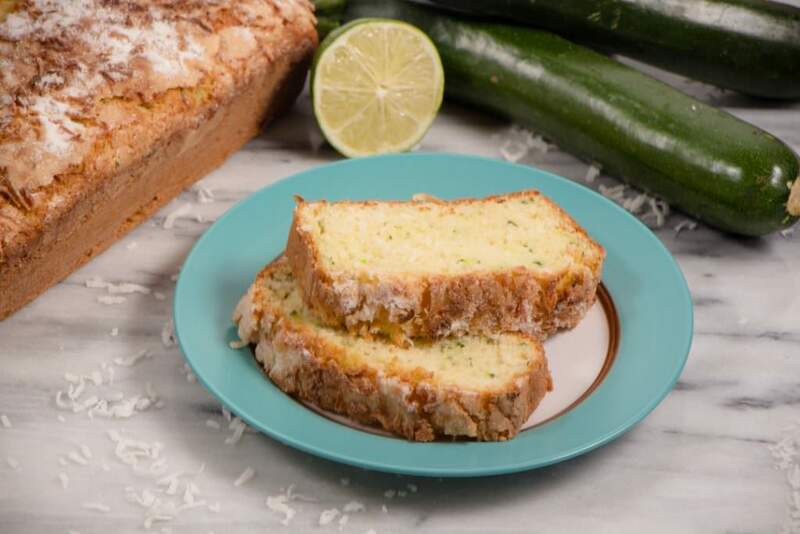 Quick Breads come in many flavors, Eggnog Quick Bread, Lemon Bread, Zucchini Bread are just to name a few. They are a perfect snack, or to deliver to neighbors too. Eggnog is a rich and creamy drink made with cream, beaten eggs, and spices. Many times Eggnog is spiked with alcohol for the holidays. Do you enjoy Eggnog like we do? You might also like this Eggnog Stuffed French Toastrecipe. Oh my is it good! With cream cheese and bread soaked in eggnog and spices you are sure to love it as much as we do. 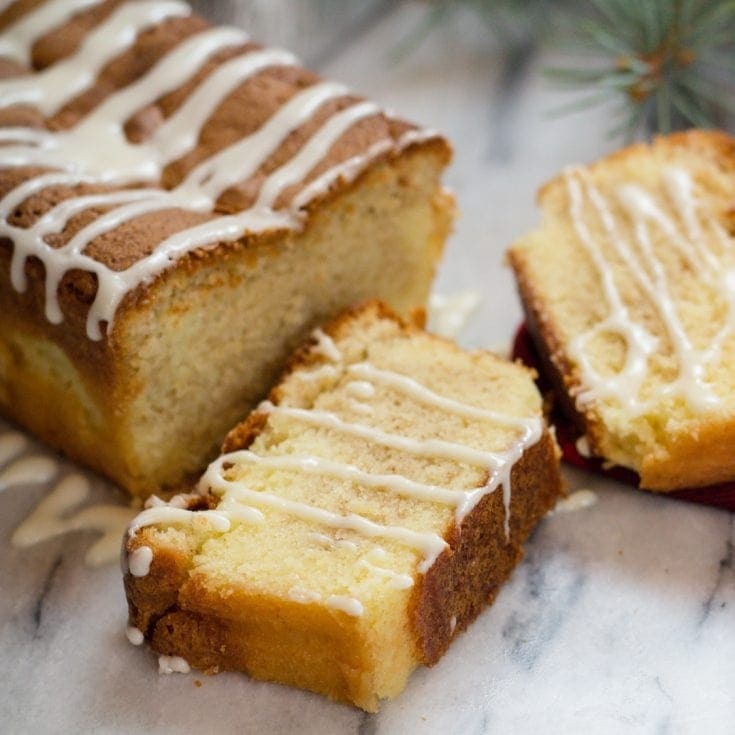 Eggnog Quick Bread Recipe is really simple and I love the marbled effect from adding in those holiday spices to only half the batter. It’s just a fun recipe. 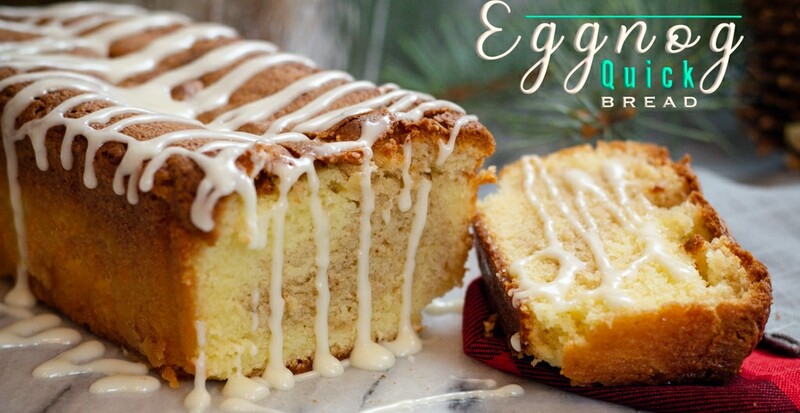 More Fantastic Recipes using Eggnog! 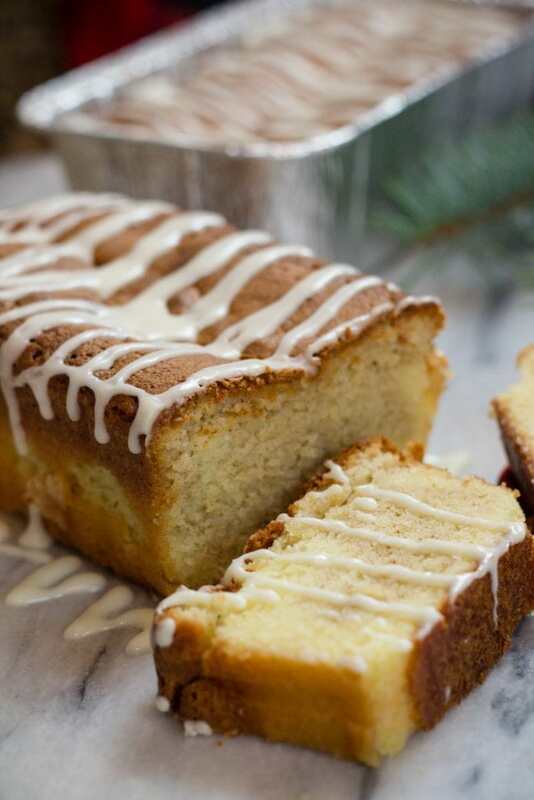 Sweet Eggnog Quick Bread filled with cinnamon, clove, and nutmeg makes this Quick Bread a Holiday Favorite. 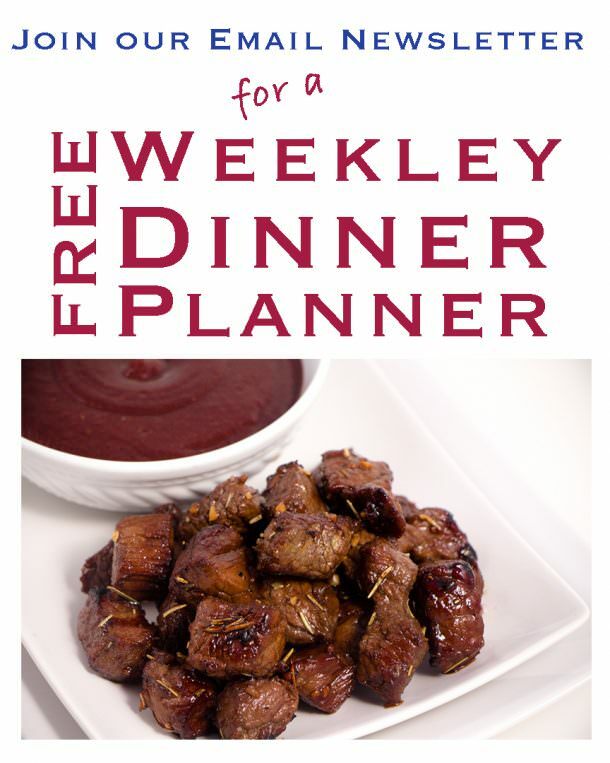 Perfect for delivering to neighbors and friends or even co-workers! 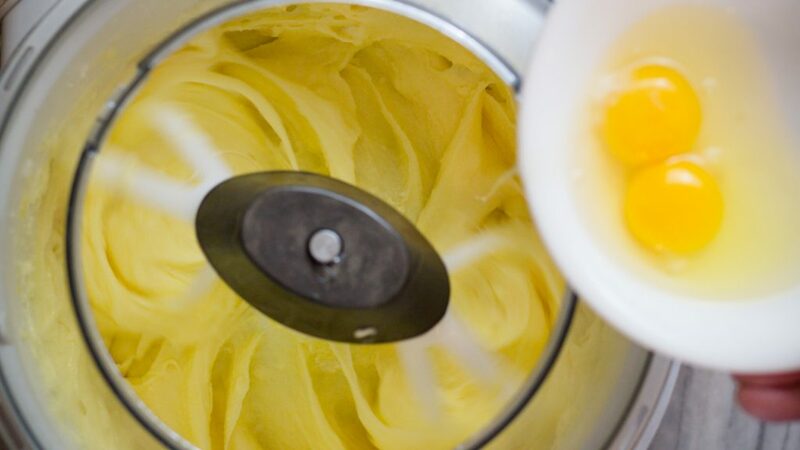 In a large stand mixer, Whip butter and sugar until light and fluffy. Add Eggs slowly. Incorporate between each egg. Add 1 Cup Flour. Mix to combine. In 2nd bowl add Cinnamon, Cloves and Nutmeg and mix to combine. Divide contents of dough mixture from bowl 1 into 3 loaf pans. Divide contents of spiced dough mixture from bowl #2 and pour on top of plain mixture into 3 loaf pans. With a knife or spoon, gently swirl mixtures together creating a marble effect. Bake at 350 Degrees for 45-55 Minutes or until a knife comes out clean. In a small bowl mix powdered sugar, eggnog and rum extract. Mix to combine until smooth. Drizzle on top of bread. This is a wonderful Holiday Quick Bread to deliver to friends and co-workers. 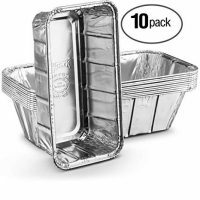 Bake in disposable 8.5x 2.5 loaf pans for easy delivering.